Speeding Statistics | The Ardoin Law Firm P.C. 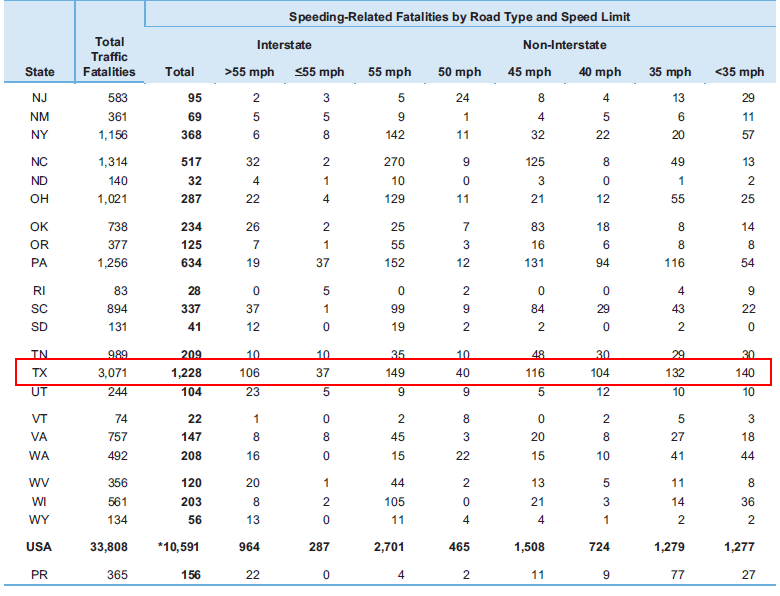 Texas has an incredibly high number of traffic fatalities that are related to speeding. This can be seen on roads with a myriad of speed limits. Overall, drivers in the state of Texas alone account for nearly 11.6% of the entire country's speed related deaths. I use every means available to prove negligence on the part of a speeding driver in order to obtain the highest monetary reward for our clients. Contact Us now to see how I can assist you in your case.